As the Tigers, clear preseason favorites to run away with the division, continue to stumble and struggle in early September, it’s been difficult for Detroit fans to reconcile what they’re seeing with their expectations. At this point, even a winning streak seems out of reach, much less a playoff berth. Neither team looks fabulous here in the late summer, and neither is dropping hints that it can rip through September and October and steal someone else’s World Series trophy. The Tigers are just seven games over .500 and the biggest underachievers west of Philly. Meanwhile, the White Sox may have beaten their rivals 6-1 on Monday night, but they still have bruises from a weekend beatdown at the hands of the Royals, who’ve taken 10 of 15 against the current division leader. Which says plenty about the division, the worst in the majors. But none of that says anything about baseball and the wonderfully weird magic of September. Both the sport and the month are utterly unpredictable. [I]t’s also possible that we’re in the midst of a stirring four-game series at The Cell [Series currently tied 1-1. -ed.] that allows either the Sox or Tigers to finally press the accelerator and distance themselves from their murky status once and for all. All it takes for any team within striking distance is a stretch where the switch flips on, and the same team that spent the first half of September mumbling to itself will spend the last half of October pinching itself. That’s baseball. That’s also the ’03 Marlins, who settled for the wild card after finishing 10 games behind the Braves, then beat three favored teams in the postseason. That’s the ’06 Cardinals, who lost ace Mark Mulder, finished the season 83-78, then sucker-punched the Mets in seven games to win the NL and shocked the Tigers to sip champagne. And that’s the ’11 Cardinals, who wiped out a 10½-game deficit to steal the wild card, and you know what happened next. Craziness happened. Magic happened. 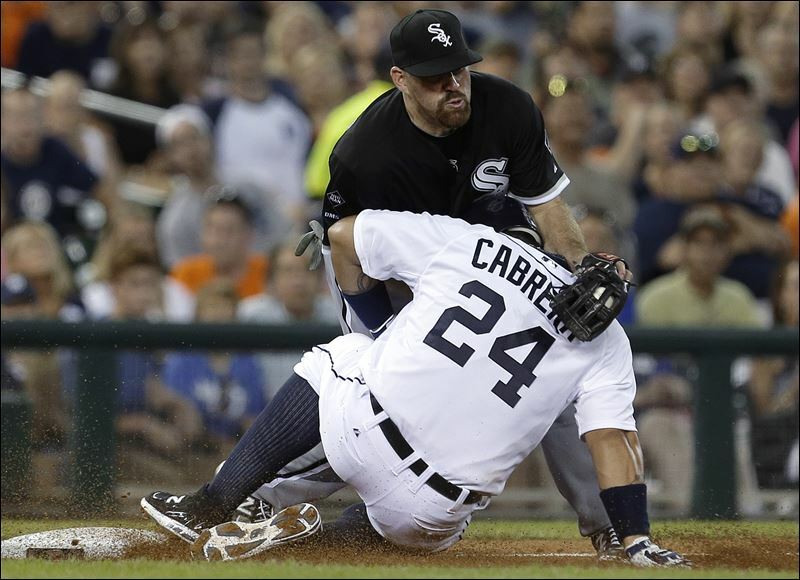 Whatever happened to the White Sox and Tigers from April until now has very little to do with what comes next. Because this stage of the season isn’t about the best team, it’s about the hottest. It’s about who can find a pitcher or two, and a manager who knows the right buttons and strings to push and pull, and a hitter who doesn’t shrivel in the clutch. If this comes together in the final eight weeks in the fall, it can make the previous 20 weeks seem an insignificant speck in the rear-view mirror. Even if the Tigers can’t get rhythm, at least they can get some perspective. They’ll take anything they can get at this point. This entry was posted in ALDLAND and tagged chicago, detroit, johnny cash, mlb, sports on earth, tigers, white sox by AD. Bookmark the permalink.